Bring a little color to your party. ?Matches other BRIGHTS items. ?Neon color perfect for black light parties, pool parties, picnics and much more. 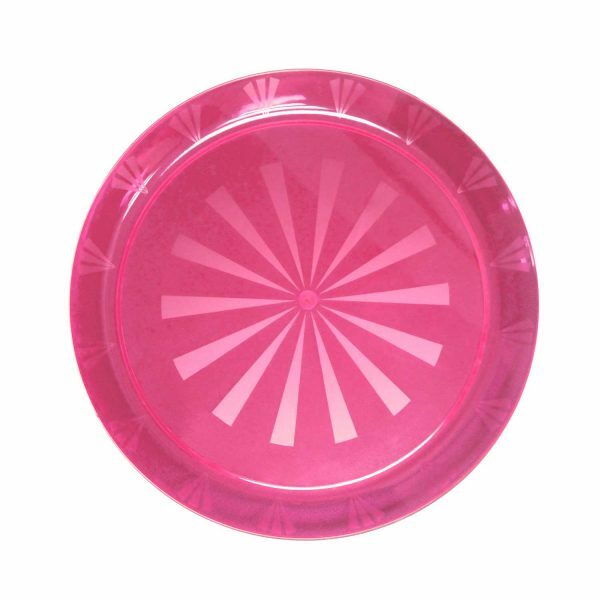 ?Classic styling and a versatile round shape make them the perfect addition to any party table. ?Disposable plastic makes clean-up a breeze.